Considered by many to be the magazine of record for ancient mysteries, unexplained anomalies, and future science, Atlantis Rising� provides some of the most astounding reading to be found anywhere. 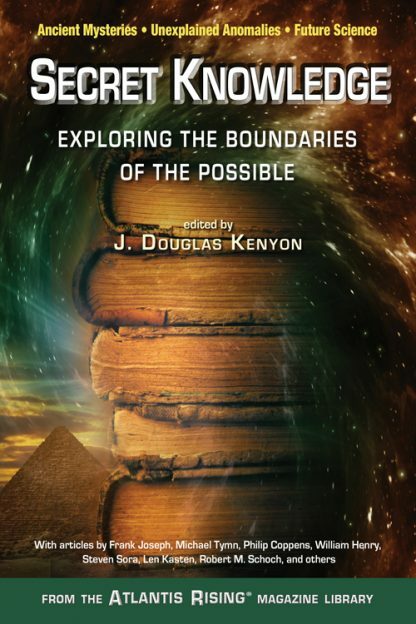 Editor J. Douglas Kenyon has culled from the pages of Atlantis Rising� magazine this collection of 36 concise and well-illustrated articles by world-class researchers and authors such as Andrew Collins, Philip Coppens, William Henry, Frank Joseph, Robert M. Schoch, and many others, who offer thought-provoking insights on a variety of topics that challenge conventional wisdom. In these pages the latest discoveries and theories on the controversial subjects are explored and even more provocative questions are raised. What emerges is a fascinating case in support of a much greater antiquity for civilization, a well-reasoned argument for the existence of advanced technologies in prehistory, and the revelation of secret forces that have been at work throughout time and are still present today.